TODAY’S GAME: The Generals continue their 9-game homestand tonight with the start of a 5-game series against the Montgomery Biscuits (TB) at Pringles Park. During the month of July Jackson takes on Montgomery 11 times. This season the Generals are 6-5 against the Biscuits. GENERALS RECAP: The Generals were swept in a double-header by Huntsville on Saturday at Pringles Park. Jackson dropped the 1st game 5-4 in 11 innings, and game two 7-1. The Generals now trail the Chattanooga Lookouts by a 1/2 game in the North Division. This is the first time the Generals have been swept in a doubleheader this season. In game 1, Jackson held a 4-2 lead before allowing 2 runs in the top of the 7th inning to tie the game. The game remained tied at 4-4 until the top of the 11th inning when Huntsville’s Kentrail Davis reached with a 1-out triple and later came home on a wild pitch by reliever Mauricio Robles (2.0,3,1,1,0,1,WP). Starter James Paxton (6.0,7,4,4,3,4) allowed 4 runs on 7 hits in 6.0 innings. RH Yoervis Medina (3.0,2,0,0,2,2) allowed 2 hits, walked 2 and struck out 2 in 3.0 scoreless innings in relief. The Generals tallied 12 hits, including 3 hits by 1B Rich Poythress (3×5, 2 2B, RBI, BB) and 2 hits by 2B Nate Tenbrink (2×5, R, 2B), 2B Stefen Romero (2×5, R, BB), LF Joe Dunigan (2×5, R, 2 2B, RBI, BB) and C Jesus Sucre (2×4). In game 2, C Ralph Henriquez (2×3, 2B) and SS Leury Bonilla (2×3) were the only Generals with multi-hit games, both going 2-for-3 on the night. Henriquez had the only extra-base hit for Jackson, a double in the 7th. Starter Anthony Fernandez (5.2,10,5,5,2,3,HR) allowed 5 runs on 10 hits in 5.2 innings to pick up his first loss in Double-A. RH Andrew Kittredge (1.1,2,2,0,1,2) allowed 2 runs (0 ER) on 2 hits in 1.1 innings in relief. 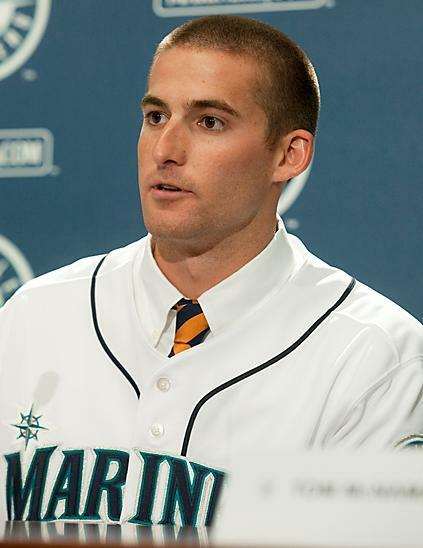 MILLER ADDED FROM HIGH DESERT: SS Brad Miller (pictured right, Mariners.com) was added from High Desert yesterday. He has hit safely in 24 of his last 28 games with 18 multi-hit games, batting .378 (48×127) with 27 runs scored, 8 doubles, 2 triples, 2 home runs and 19 RBI. Miller currently leads the team with 44 multi-hit games this season, batting .339 (139×410) with 89 runs scored, 33 doubles, 5 triples, 11 home runs and 56 RBI. His 139 hits are currently 2nd-most in the Minor Leagues this season, while 89 runs scored rank 2nd and his 33 doubles rank T6th. NEW ERA IN SEATTLE: The Seattle Mariners announced yesterday that they have acquired right-handed pitchers D.J. 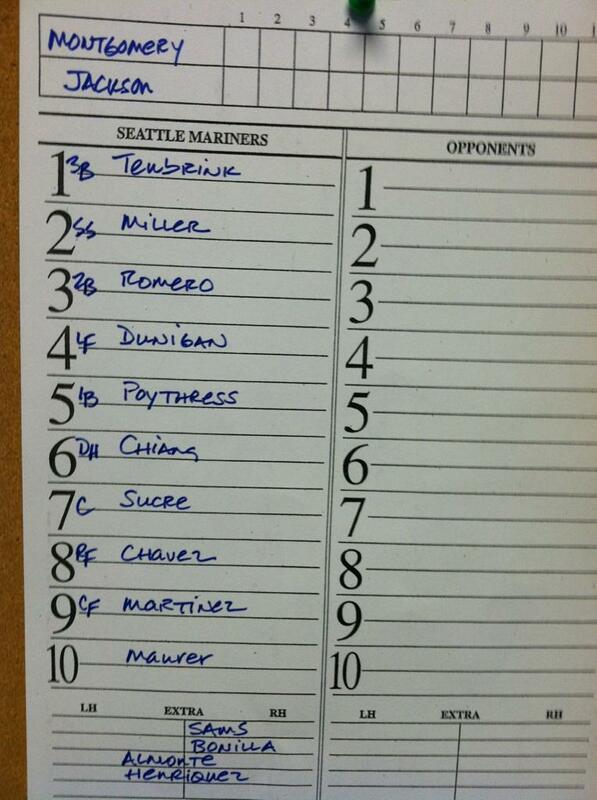 Mitchell and Danny Farquhar from the Yankees in exchange for right fielder Ichiro Suzuki. Cash considerations are also included in this trade. “KISS IT GOODBYE”: Over the course of the last 8 games, the Generals have hit 9 home runs, including 3 multi-homer games. The Generals lead the league with 77 homers this season.. FEELS GOOD AT THE TOP: The Generals 59 wins are the most in the Southern League. Jackson ranks 1st in pitching, with a 3.20 ERA and 2nd in team batting average at .263. The Generals lead the league in total bases, slugging percentage and home runs with 77. WHO’S HOT? : INF Rich Poythress has hit safely in 16 of his last 17 games, batting .492 (25×59) with 7 runs scored, 6 doubles and 7 RBI. -> RH Yoervis Medina has allowed 1 run in his last 28.2 innings in relief (0.31 ERA). During this 17 game stretch has limited opponents to a .212 (21×99) average, while walking 10 and striking out 27. 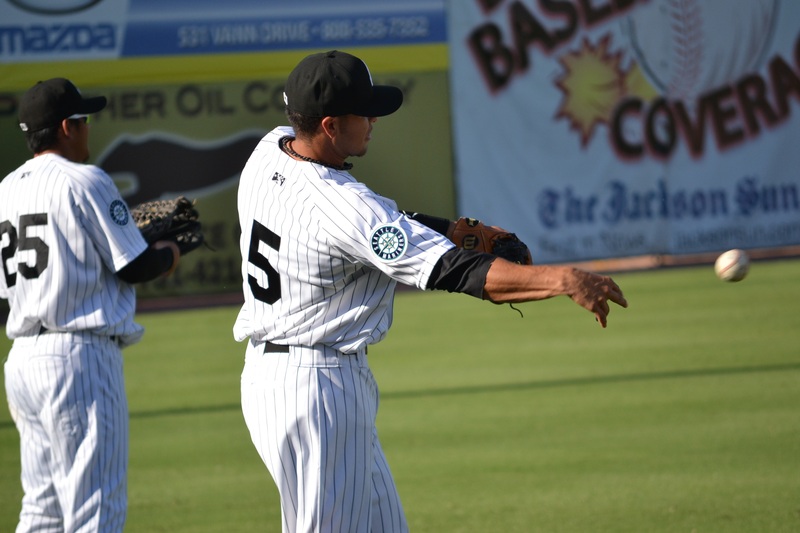 -> LH Mauricio Robles is 1-1 with 1.62 ERA (4 ER, 22.1 IP) in last 17 appearances. During this stretch he has limited opponents to a .125 (9×72) average while walking 14 and striking out 16. In 3 starts since returning from the DL on July 3. VIVA LA ROMERO: INF Stefen Romero (pictured right, Jesse Garrett) has hit safely 21 of 25 games with 13 multi-hit games with Jackson since his promotion, batting .361 (35×97) with 18 runs scored, 10 doubles, 2 triple, 4 home runs and 27 RBI. CAPPING OFF GAMES: RH Carter Capps has allowed only 2 earned runs (3 R) over his last 35.1 (0.51 ERA). This season he is 2-3 with 18 saves and a 1.31 ERA (7 ER, 48.0 IP). He has limited opponents to a .214 (39×182) average, while walking 12 and striking out 70. Capps has held opponents scoreless in 32 of 36 relief appearances this season. FERNANDEZ MANIA: LH Anthony Fernandez became the first Jackson pitcher in franchise history to post back-to-back 9-inning complete games in his first 2 starts. In 5 starts since being promoted for High Desert to Jackson, Anthony Fernandez is 4-1 with a 2.95 ERA (13 ER, 39.2 IP).